Home » Facebook » How to secure its connection » How to secure its connection to Facebook! 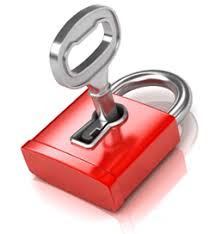 How to secure its connection to Facebook! 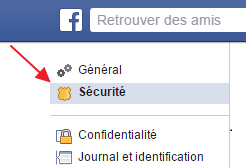 Do you know that Facebook allows you to guess the locations of the last login to your account? Do you want to make your Facebook account more secure? You should know that several Facebook accounts have been hacked because of the lack of security, these accounts sometimes include friends, pages, messages and a lot of intimate information, that if a malicious hacker could have them ... you will have several problems ! In this tutorial you will find out how to find out who has logged in to your Facebook account, guess its location and secure your Facebook connection. 1. How to identify active sessions on Facebook. 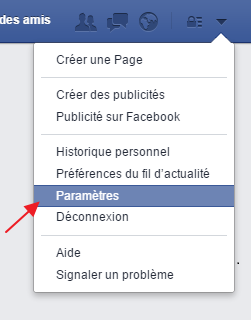 To do this, click on the arrow at the top right and then on «Settings». Then open the "Security" page. At the bottom you will find "Where you are logged in", click in to have information on the active sessions. Note: If you find several sessions or IP addresses different from the ones you use, immediately change your password, and read the rest of this tutorial. If you ever find a suspicious session, just click "Delete" to block it and forbid it from accessing your account, immediately change your password. To be notified or notified by new connections to your Facebook account, click on "Notifications on connections" and then check "E-mail address" and / or "Text message". That way, once a new device is connected to your account, you will be notified immediately. You can protect your connections to your account by using an approval code, which changes every time you connect to a new device. To do this, click on "Connection approvals" and then select "Prompt for a security code ..." As this method works with your phone, a window containing several choices of phone type will be displayed, if you have one smartphone, you can receive an approval code quickly via the Facebook application, otherwise you will go through SMS. To recover your Facebook password you can read this tutorial: How to recover / restore a hacked Facebook account! 0 Response to "How to secure its connection to Facebook! " How to recover a pirated Facebook account!